LUSH products are so appealing to me because of their animal cruelty free policy. Their products are also all natural so there's no weird chemicals I have no idea about. I don't have an everyday skincare routine because I always had this fear that chemical products will only make it worse so it's best to leave it natural. But since LUSH uses natural products, I thought I'd give it a try. 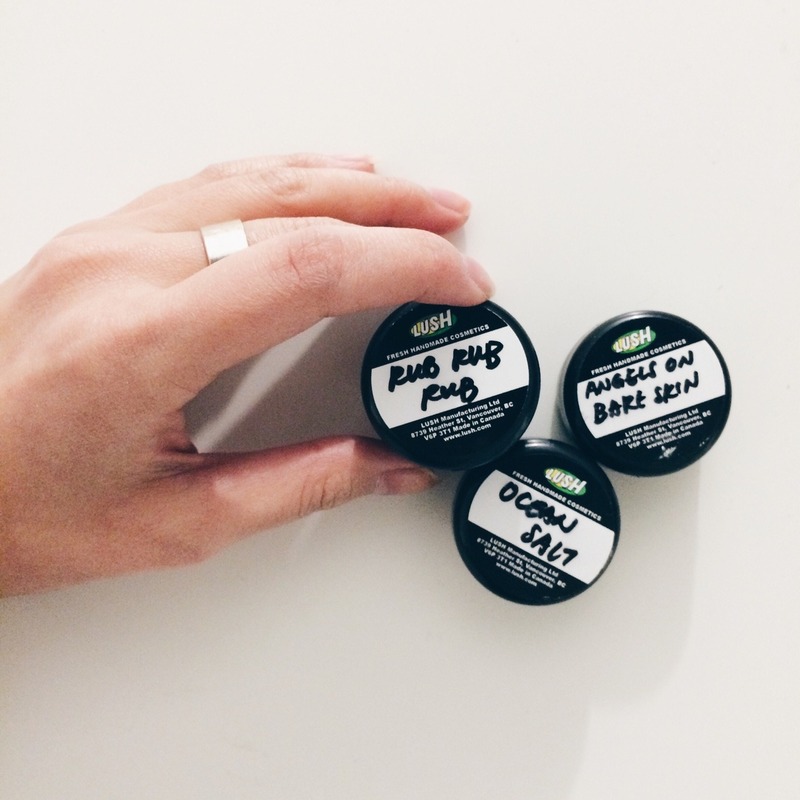 LUSH is generous enough to give free samples of products you want to try so I grabbed three to try. These are products I've used occasionally when I felt like giving myself a refresher. 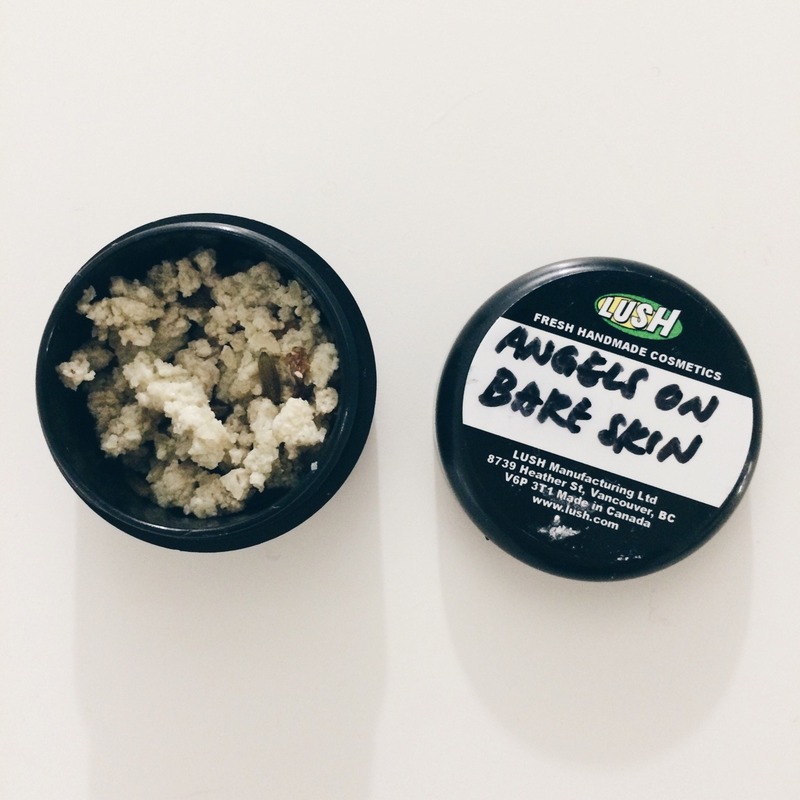 Angels on Bare Skin - This is a great face product and acts as a cleanser. It's great if you want to have soft and radiant skin. All you have to do is mix with water and apply to the face. The scent is like a garden of flowers since there's lavender oil added in. After using this, I always feel like my skin is super soft and bright. On days where I feel like looking more awake and radiant, I use this before going to bed. I usually apply this before Ocean Salt. Use once a week. It's best not to use too often. 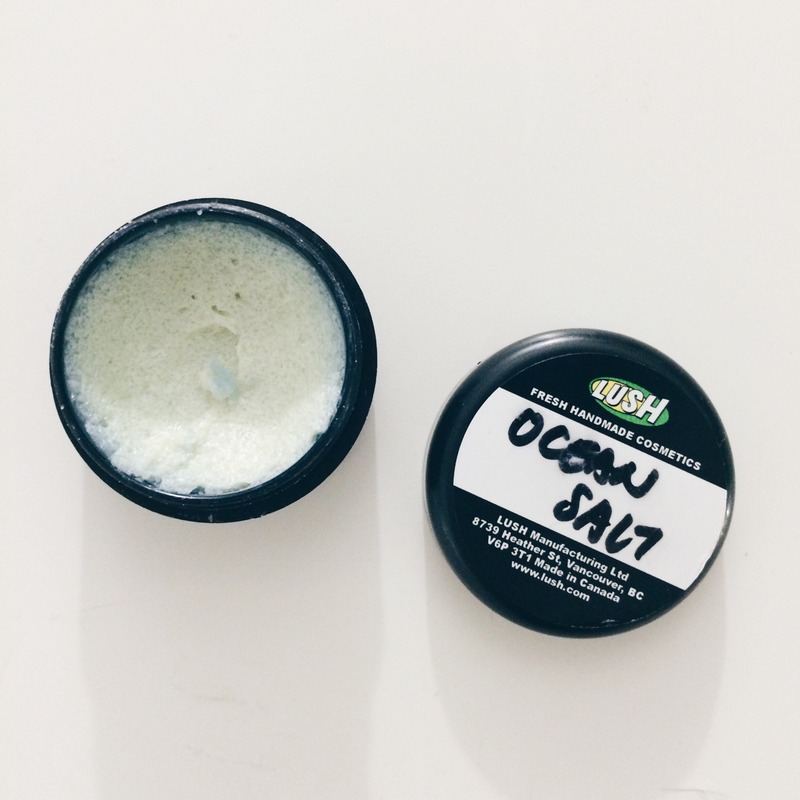 Ocean Salt - This is also another great cleanser. Like Angels on Bare Skin just mix with water adn apply to the face. Their website claims it scrubs away dirt and dead skin leaving a bright fresh face. It's great for blackheads and pores if that's something you're looking to tackle in your skincare routine. Smells great, too. I was told it was okay to use this daily but I only use it occasionally along with Angels on Bare Skin. The results are great because I really do see a brighter complexion on my face, especially on days where I didn't get much sleep. Rub Rub Rub - During winter times is when the scaly skin comes out to play so I really wanted a scrub that would help with the dry skin. One of the LUSH workers suggested this shower scrub where it'll leave my skin smooth and hydrated - and it really works! I've only started using this sample recently and once I stepped out of the shower, my skin was smooth as a baby's forehead. Maybe that's a bit dramatic but no doubt my body felt really smooth and no dry skin. I'd definitely recommend this product. 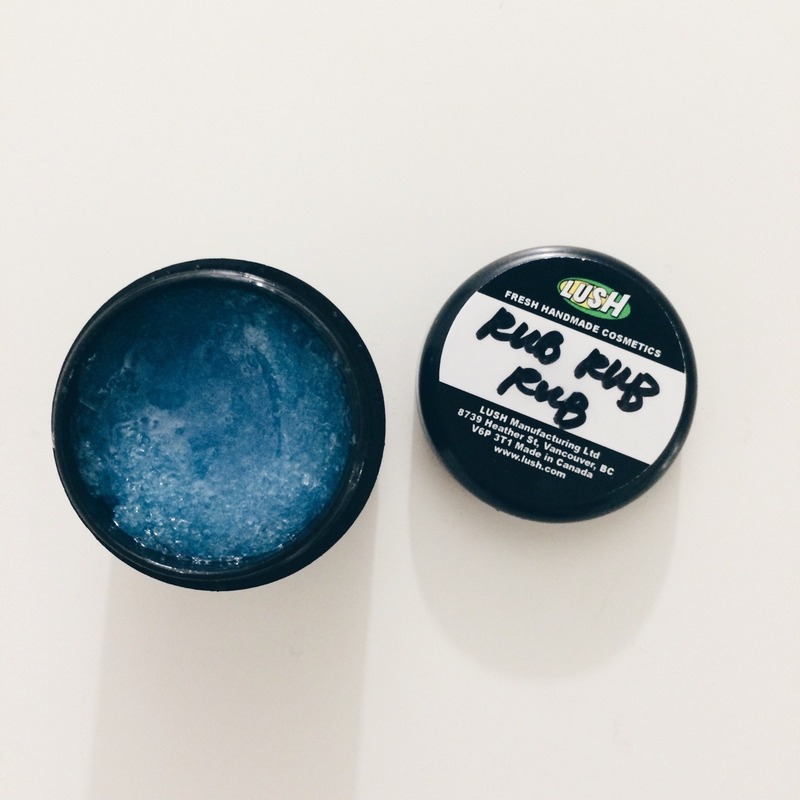 What are some LUSH products you guys want to try or recommend?